Equiflo is the most practical and durable trickling filter rotary distributor currently available. 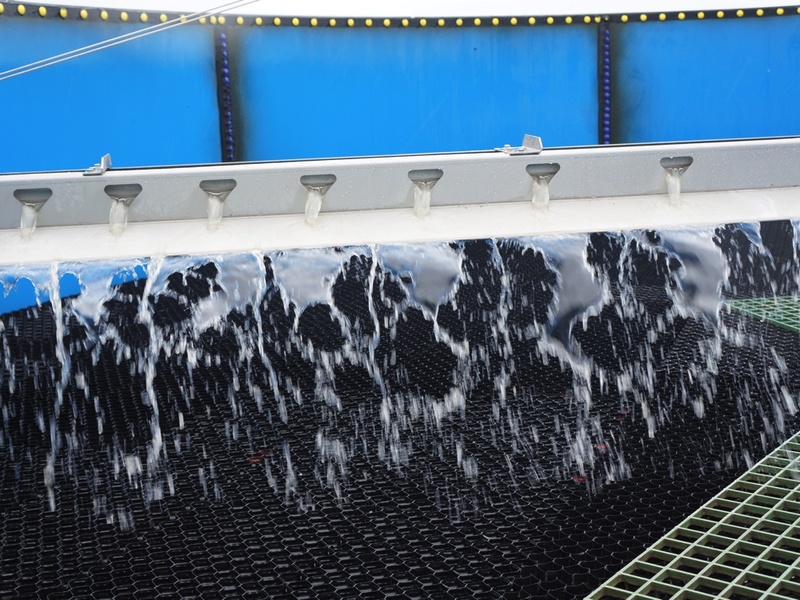 Built from a precisely engineered combination of processes and most up-to-date products and technology It provides the most effective trickling filter waste water treatment solutions. 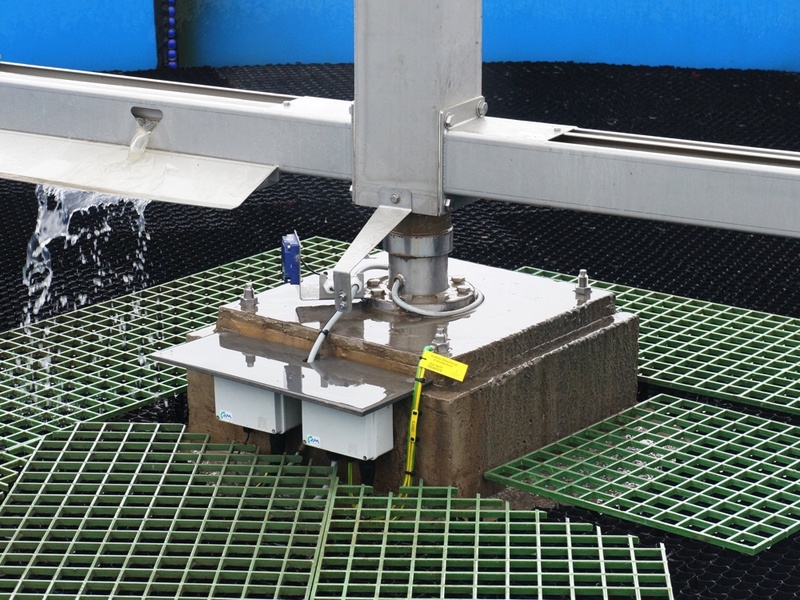 2H Water Technologies believes customisation is the key to effective wastewater treatment – and that’s exactly what customers can expect when they choose an Equiflo rotary distributor. Whether it’s a stand-alone installation, or part of a new or upgraded trickling filter system, every Equiflo rotary distributor is unique because it’s been built to the customer’s exact specifications from components precision-designed to be free from problems – for example, blockages in the distributor arms and water damage to the motor – that have been shown to undermine the effectiveness of other rotary distributors. Manufactured in robust stainless steel, the Equiflo rotary distributor will be reliable, easy to clean, maintain and upgrade with minimum disruption to trickling filter operation over an expected 25-year operational lifetime. Equiflo can be built with two, four or six distribution arms, each of which is formed in multiple sections for flexibility and easy maintenance. 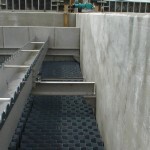 Because the distribution arms have an open trough structure, they are less prone to blockage. 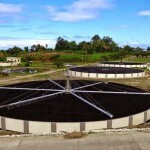 Equiflo is designed to ensure the consistent, even wastewater distribution which is the key to effective trickling filter performance. 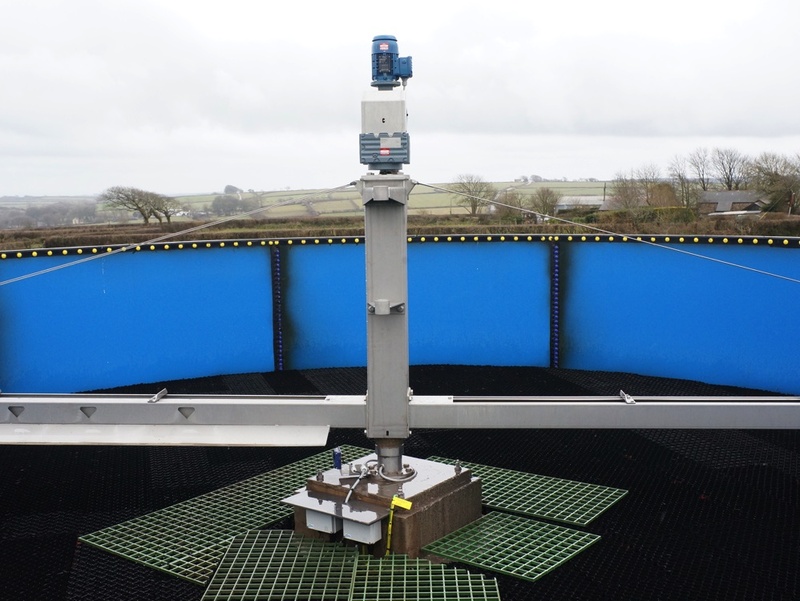 Equiflo will automatically adjust the wastewater distribution to meet any change in need, whether it’s a regular occurrence, such as a reduction in overnight flow or to accommodate seasonal or ad-hoc variations. 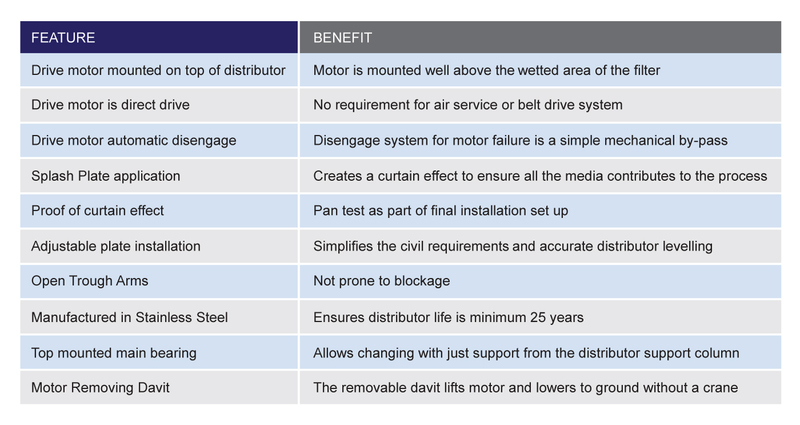 Customers can choose a motorised version which, because it’s direct drive, doesn’t require the additional support of an air service or belt-drive system. The Motor and electrical parts are mounted above feed water level to ensure they are not constantly wetted. A removable davit enables the motor to be lifted and lowered to the ground without a crane. Should the power fail, it will automatically disengage allowing Equiflo to be switched to reaction drive, provided by the flow of water from the arms. 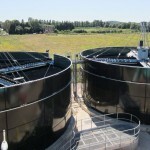 Equiflo is normally bolted to the support column but can, if required, be underslung from a beam passing over the tank. All key components – such as the main bearings can be replaced by supporting the distributor off the support system. 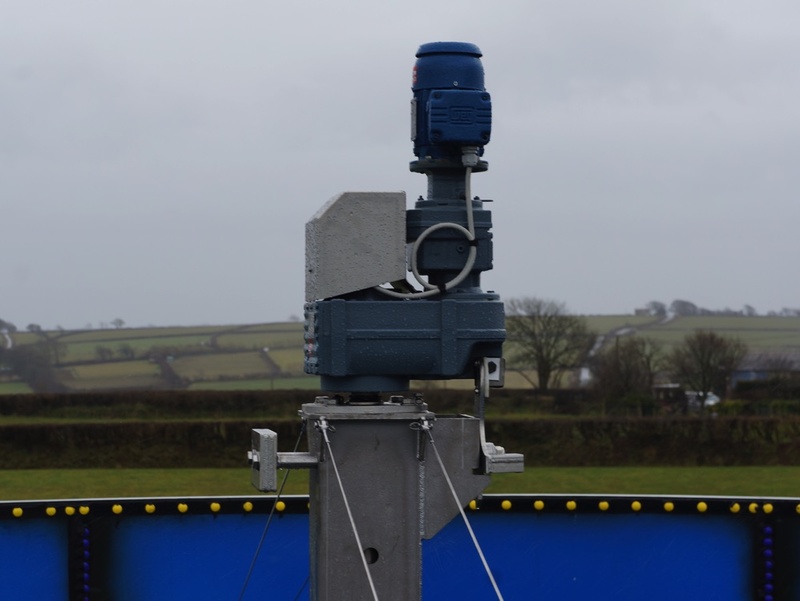 The motor drive can be removed by the lifting davit without the need for a crane. 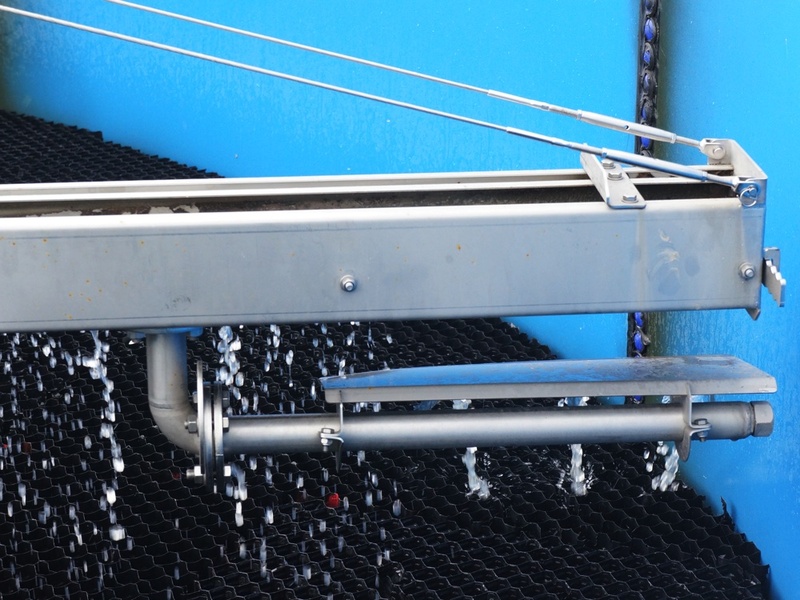 “Adding Equiflo to our product range is further evidence of 2H’s commitment to providing customers with the most effective trickling filter waste water treatment solutions built from a precisely engineered combination of processes and most up-to-date products and technology” said Richard Manning, MD of 2H Water Technologies.